Why pay for something that is offered for free??? iPhone app is free but if you have an iPad you hav to pay? What a load of crap!! Just go to their website and read everything there. Been a long time reader and decided to support them through their app subscription. They’ve expanded with more videos over the years, manage their forums very well, and give good objective reviews. Keep up the great work! Why can I still not swipe between articles when in full-screen reading mode on iPhone X or newer? The fact that I pay for a subscription makes it even worse. 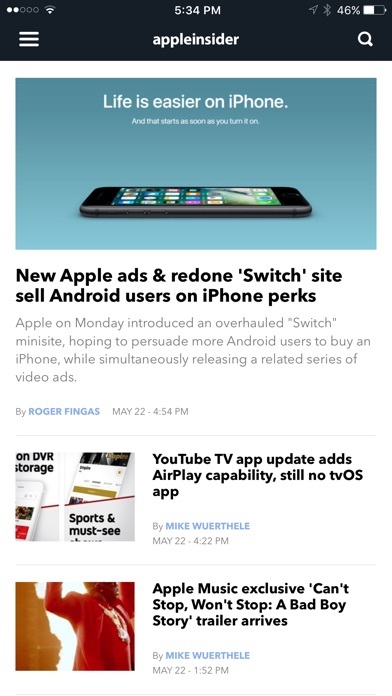 This is a basic UX usability aspect especially for an Apple-centric news app. Please improve the UX. Logged in but I cannot write or read comments. Weird! Latest iOS 10.3.2 and iPhone 7 Plus. Revised review to one star only because I still cannot read/write comments and the developers don't seem to bother to respond to this. Now on iOS 10.3.3 and still cannot write or read forum comments. Crappiest support ever!!! UPDATE: I canceled my paid subscription because nobody seems to bother to help me. Now on iOS 12.0 and an iPhone XS Max but I still cannot read/write in the Apple Insider Forum. Notifications do not appear for new articles or any articles for that matter. I even purchased the year subscription hoping that would fix the issue. I love Apple Insider. Thanks so much for fixing. FYI - I have uninstalled and reinstalled the app and verified notifications are turned on for this application. This is an absolute joke. There are tons of Apple related news sites and they all report the same stories, the same rumors and same reviews. The biases change and the words are different but they are all speaking to and about the same things and report the same stuff. Charging users of your app to view reader paginated versions of your website and pasting extra ads on there in such an annoying fashion that the user is left with two choices, pay an absurd subscription to remove the intrusive ads or delete your app and go somewhere else. 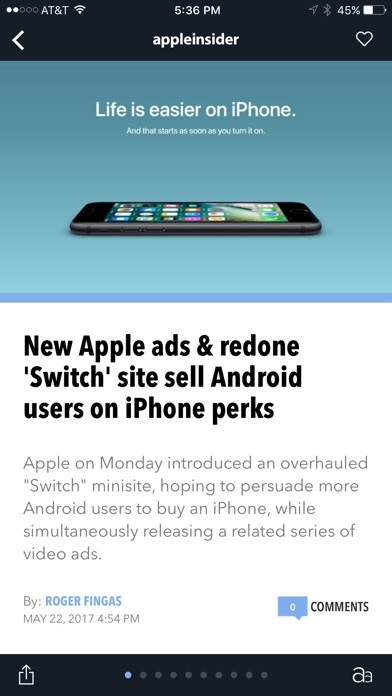 Do your self a favor, go to Reddit, visit r/Apple and don’t pay $9.99, get more Apple news stories than you can ever dream of and save your money for something else. Great app for everything Apple!! Finally updated for iPhone X. AppleInsider is the one stop spot of everything Apple,reviews,how to videos, price guides you name it. My favorite app period.